We worked on the new identity of Parmigiani, the Swiss watchmaking company in collaboration with Meta Design (The Creative Factory) to rebuilt an identity to reflect their heritage, for exceptional unique watches. The original design was based on Augustea by Aldo Novarese. The final result follow this idea of monumental capitals, in a contrasted and narrowed version. The A feature a double top serif, as the bottom N to affirm its style. We designed a set of numerals for the Parmigiani Tonda Watch based on the historical numerals used by the brand since its birth. 1. Parmigiani logotype early sketches, on the top the original 1996 brand based on Augustea. 2. Parmigiani monogram early sketches, on the top left, the original monogram. 3. Parmigiani two logotypes, the client preferred the logotype on the right. 5. 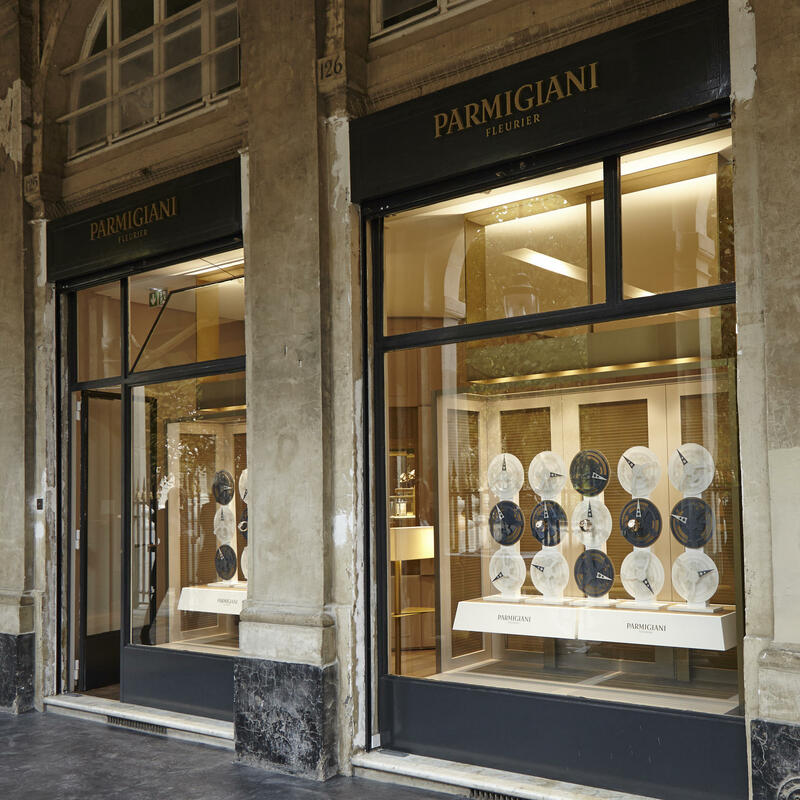 Parmigiani final weight optimisations. 6. Parmigiani numerals sketches in order to find the right weight and contrast depending the watch style. 7. Final numerals designed for Parmigiani watches. 8. 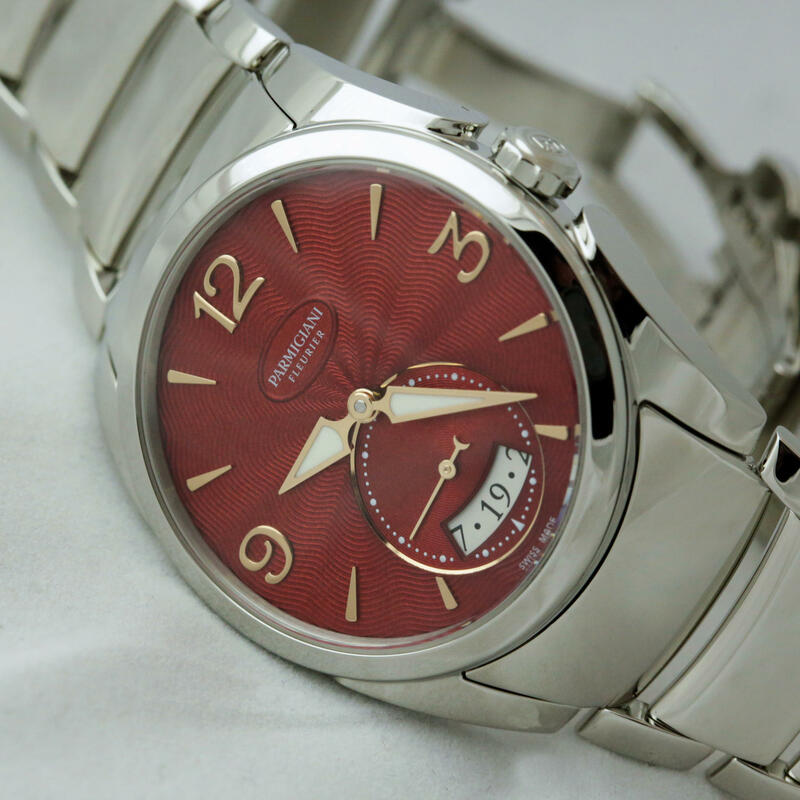 Parmigiani watch featuring our new numerals. 9. to 10. 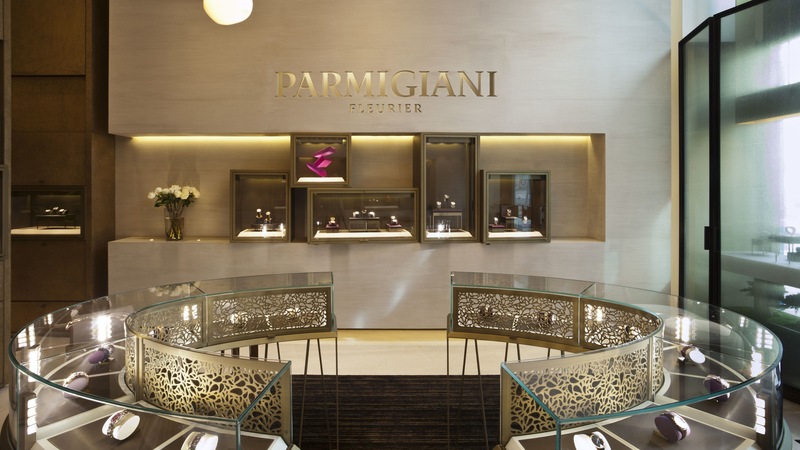 Parmigiani logotype in use on shop designed by Meta Design.